IN THIS TIME of corrosive inequality, it’s fun to let credulous plutocrats subsidize your boozy night out on the town. But the sooner investors get sick of covering losses by Uber and Lyft, the better off your city will be. 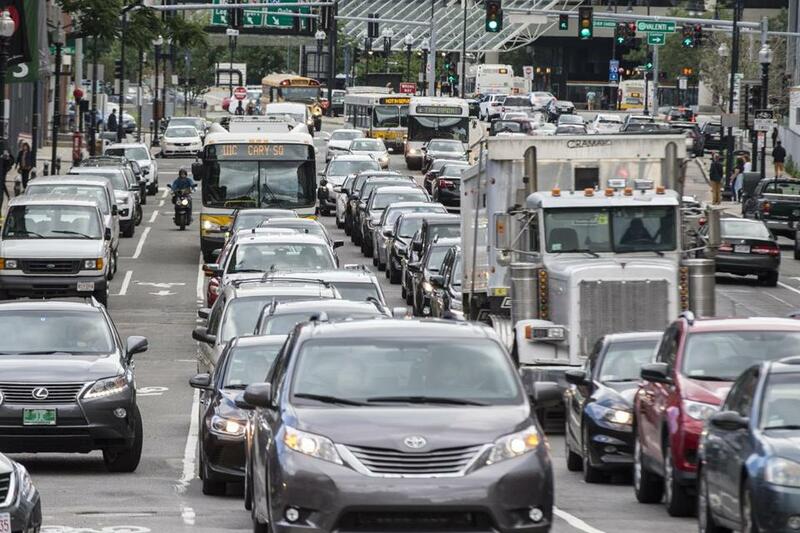 A new study of 944 Boston-area passengers by the Metropolitan Area Planning Council shows that ride-hailing apps are adding to vehicular traffic; people are using them for lots of trips that they otherwise would have made by transit or bike. This isn’t just happening because Uber and Lyft offer efficient service. It’s because the fares that customers pay don’t come close to covering the ride-hailing companies’ costs — much less the external costs to society of drawing more passenger cars into an already congested road network. The major ride-hailing companies have received more than $20 billion in all, contributed by everyone from the Japanese cellphone giant SoftBank to Jay-Z, Jeff Bezos, and Silicon Valley stalwart Peter Thiel. Because Uber and Lyft are privately held, their finances are opaque. But they’re operating deep in the red; Uber alone lost nearly $750 million in the third quarter of last year. In 2015, according to one transportation consultant, Uber passengers were paying only 41 percent of the cost of each ride. When the price of almost anything is kept artificially low, people will use more of it. That’s why we subsidize public transit with tax revenue: If people take the bus to work instead of driving, everybody benefits; the reduced congestion is worth the money. The Go Boston 2030 plan can and should be more ambitious. Ride-hail investors have a different incentive: For now, they just want to get people into the habit of ordering cars. It’s working. Fares are low enough that, if customers are running late — and when SoftBank is kicking in part of the fare — they’re more likely to take an Uber than the creaky but eco-friendly MBTA. The Metropolitan Area Planning Council research is in synch with what other cities are seeing. Studies in New York and San Francisco have also concluded that ride-hailing vehicles added millions of miles of new car travel and hundreds of thousands of vehicular trips to cities that were already clogged with traffic. In lots of ways, ride-hailing apps have been a phenomenal advance — the clearest proof of how smartphones can revolutionize the transportation system. Because it’s easy to sign up for the Uber or Lyft platforms, drivers who want to work can decide, on their own initiative, to go out and earn some money right now. The arrival of ride-hailing apps discourages drunk driving in the suburbs, where traditional cabs are hard to find. Ride-hailing apps also allow a more intensive use of existing cars — many of which get used for half an hour in the morning and half an hour in the afternoon, and then sit around taking up space the rest of the day. When city residents can go car-light or car-free, they don’t get into fights about space savers; they don’t favor parking lots over new housing. In an Uber world, a car shows up when it’s needed; when it’s not, it goes away. In the real world, though, a vehicle doesn’t just disappear the moment you step out of it. Its driver roams the streets until summoned by the next customer. If you Uber to and from work every day, your carbon footprint isn’t much different than if you drove yourself. Meanwhile, the usefulness of cheap, on-demand car trips inevitably collides with the laws of physics. During much of the day, there’s not enough room on Boston-area streets to accommodate everyone who wants a door-to-door ride. Eventually, Goldman Sachs and other investors will wake up and stop footing the bill for your travels. At some point, Uber and Lyft — which have tried to undercut each other’s prices in market after market — will have to charge passengers more, perhaps a lot more, if they ever hope to be profitable. Good. Higher fares wouldn’t kill ride-hailing, but they would make it less attractive to ride alone. That, in turn, would mean fewer ride-hail cars with New Hampshire or Rhode Island plates plying the streets inside Route 128. Higher Uber and Lyft fares also offer some hope to the traditional taxi industry, which buckled under a regulatory scheme that promoted exploitation and grift and pushed the cost of a Boston taxi permit to $700,000. Fortunately, after half a decade of investor-subsidized ride-hailing, there’s no going back completely to the old way of doing things. Automated dispatch by app is here to stay. The power of dynamic pricing — when fares for drivers go up because demand surges during a rainstorm — is incontrovertible. As for our long national nightmare of calling a cab and not knowing if it’ll ever come? Thank heavens that’s over. 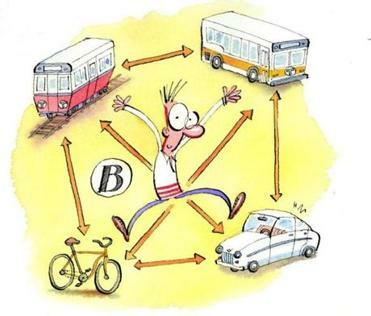 Henceforth, customers seeking transportation for hire, in any form, will always insist on the ability to track their vehicle as it approaches. We might never have reached this point had Bezos and Thiel been unwilling to subsidize your rides to work or the supermarket. And it’s been a blast riding around town on Jay-Z’s dime. But economic reality has to set in. The sooner, the better.